Black label Mānuka Honey now in stock! Here at Mountain Valley Honey, we never know what the bees will bring us from season to season. It makes each harvest interesting, we are always excited to see what the different tastes are. So, it’s little wonder we’re ecstatic with our new range. Black label Mānuka is now in stock! 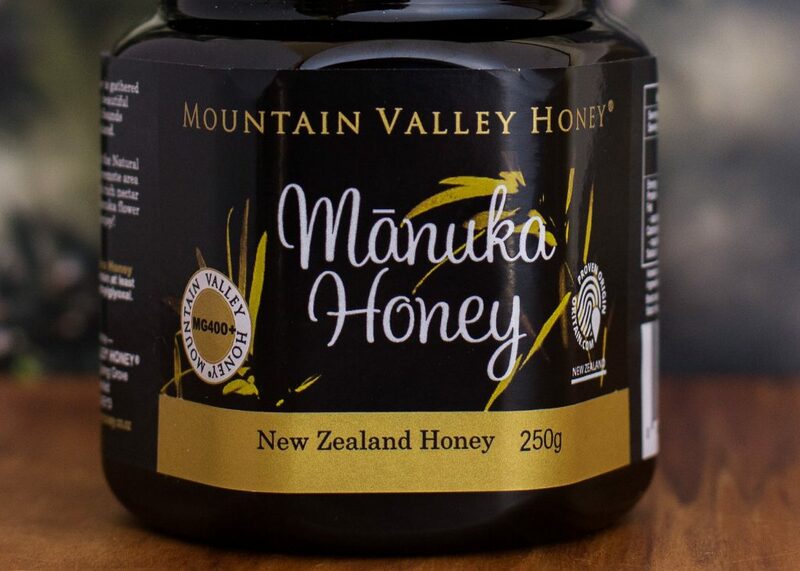 All of our Mānuka honey meets the Ministry for Primary Industries (MPI) export standards and each batch has been tested and certified for its antibacterial properties that Mānuka honey is known and loved for. The difference is in the level of methylglyoxal (MG) or Unique Mānuka Factor (UMF). The higher the number, the higher the level of antibacterial properties in the batch of Mānuka honey. You can apply this range of honey to burns or skin wounds to help with the healing. Better still, it can help sore throats by sucking on a spoonful. Some customers even take a teaspoon a day. They say it helps keep the colds and coughs at bay during the colder months. The texture of our black label Mānuka is also a little more course as it settles. We don’t crème any of our honeys, we let them settle naturally. So, the texture can vary between different batches and types of honeys. The black label Mānuka is different to our red label – the antibacterial is higher in our black label.